BOMBFEST is an award-winning party game for you and up to three friends! Battle in wooden forts, on folding chairs, and inside the kitchen sink as you attempt to be the last player standing. Use bombs to eliminate your foes, but don’t get caught in a chain reaction of explosions! Featuring accessible controls, a whimsical style, and chaotic physics, BOMBFEST is fun for all ages and skill levels. Unlock new levels, bombs, characters, and outfits as you blow up both enemy and friend alike. Don't have three folks nearby? No problem! Our handy dandy toy AI will give you a run for your money! 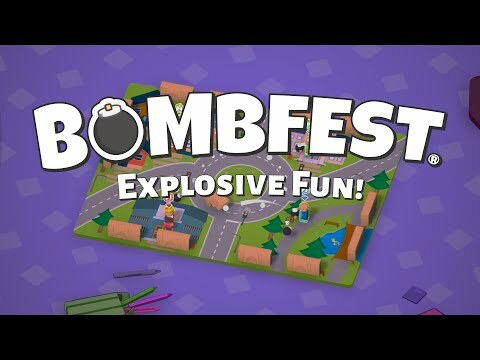 Bombfest was released on PC, PS4, Switch and Xbox One 78d ago in the US and the UK. Notify me when Bombfest is available.